It will have been a couple months by the time Backwoods Payback hit the road again on their next DIY tour, this one headed west and south through a cut of the Midwest en route to SXSW in Austin, Texas, where they’ll play on March 14 before hitting Houston and leaving the Lone Star State behind with a couple more shows to wrap up. The Pennsylvania/Virginia (Pennsylginia?) 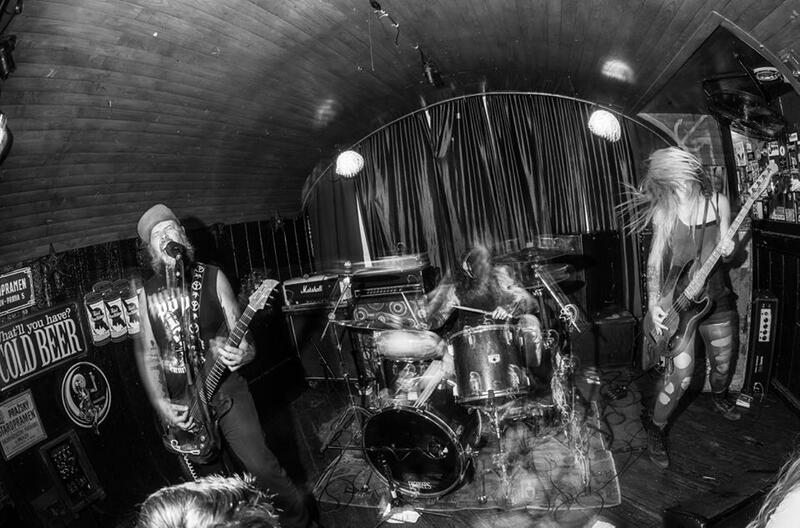 three-piece will continue to support last year’s right-on-right-on Future Slum (review here), which put them ahead of the curve on any kind of grunge revival happening in the heavy underground while keeping to the punk root — and, clearly, work ethic — that’s been present in their sound all along. 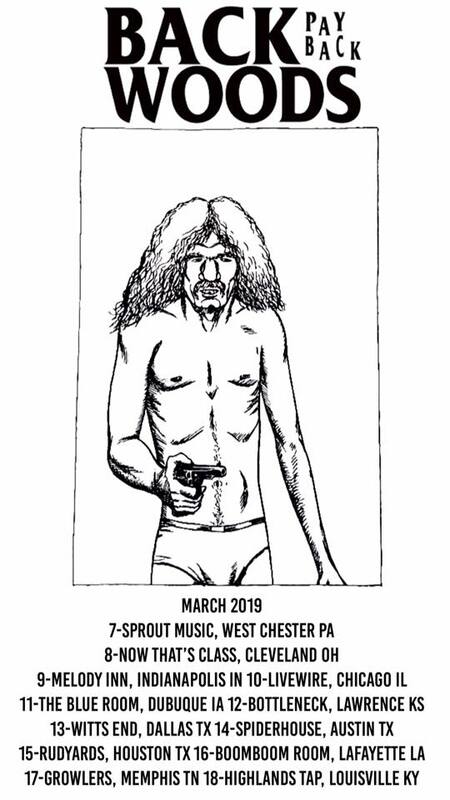 To that end, don’t think the use of Raymond Pettibon art in their latest tour poster is a mistake or a coincidence, let alone the Black Flag-esque logo. They’re clearly aware of the kind of road-sloggery they’re doing, and while one doubts they’re eating dogfood — pretty sure convenience store burritos are cheaper anyway; plus they’re too friendly not to get fed — their commitment to “in the van” is admirable. Admirable enough you should get out and see them, anyhow. And maybe buy a t-shirt or an LP. You know, support and all that stuff that everyone hashtags nowadays. Heading back out and hitting the spots we have been missing. Week never ends up right? Don’t let that dull your knife! This entry was posted	on Thursday, January 17th, 2019 at 8:14 am	and is filed under Whathaveyou. You can follow any responses to this entry through the RSS 2.0 feed. You can leave a response, or trackback from your own site. There goes another 0.258 seconds.